The Columbia Blazing Star™ Interchange 3-in-1 Ski Jacket has a secret to tell: it's really two jackets in one. 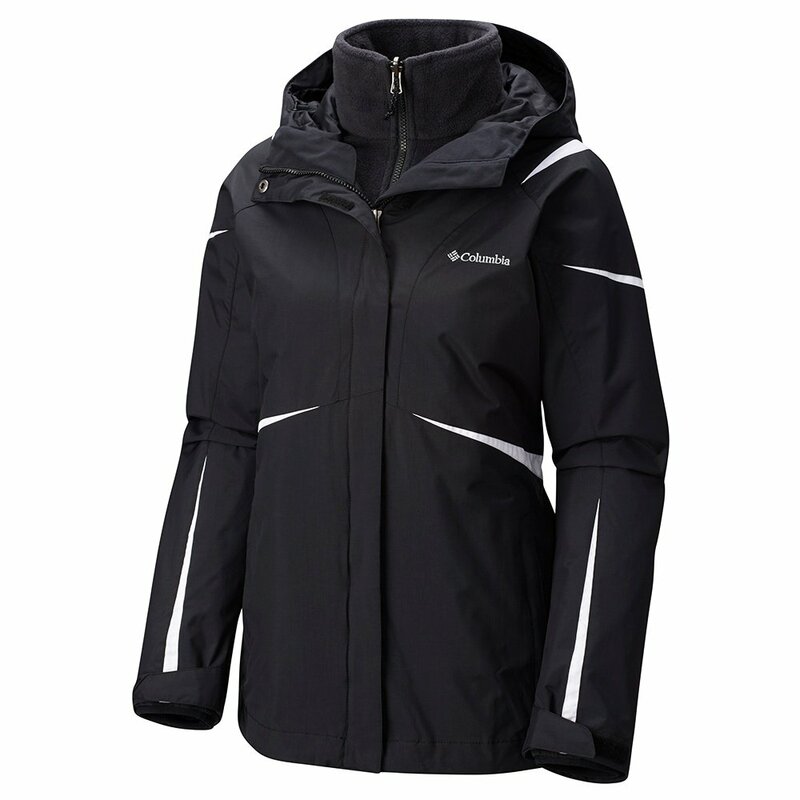 An outer waterproof shell breathes and wicks away precipitation from September to May, and a removable inner fleece liner that keeps you warm and cozy from the lodge to the top of the mountain. Now you can stop worrying about layering and start planning your next big ski trip. Forget the cold, get out in the snow in the Blazing Star™ Jacket. "Is hood removable. If so, buttons or zipper?" "Unfortunately, the hood is not removable." "Does it have pit zips?" "There are no pit zips in the Columbia Blazing Star Interchange 3-in-1 Plus Ski Jacket."